SALEM — The Oregon Department of Energy announced today shared strategies for increasing solar installations in the state. The strategies were developed over the last year by members of Solar Plus Northwest, a collaborative of 20 regional stakeholders focused on tripling the amount of solar energy installations in Oregon and Washington by 2019. Oregon’s Solar Plus coalition includes the Oregon Department of Energy, Oregon Solar Energy Industries Association, Energy Trust of Oregon, Northwest Energy Coalition, Verde, Asian Pacific American Network of Oregon, Bonneville Environmental Foundation, Umatilla Electric Cooperative, Multnomah County, Spark Northwest, and Renewable Northwest. In addition to increasing the amount of solar in the region, Solar Plus is also focused on equity, job creation, and community resiliency. Oregon’s Solar Plus partners developed state-level goals using an equity framework to expand access to solar energy to low-income families and communities of color, engage with utilities and regulators about technologies to boost solar employment, and educate Oregonians and Oregon businesses about the benefits of solar. Identifying the gaps and tools to increase engagement and networking among historically underserved communities. Sharing information about solar incentive development, with a special focus on benefits for low-income households. Supporting projects that increase community and energy grid resilience. Expanding equitable and inclusive opportunities in the solar industry workforce. Offering input for the deployment of low-income community solar projects. Updating solar industry planning and broader goals. Deploying solar as part of neighborhood-level energy planning. 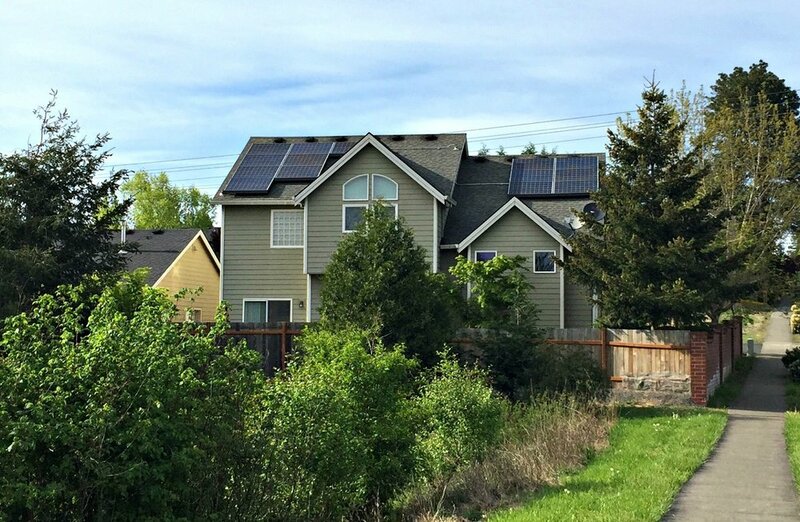 The development of the strategies was an initial deliverable for the Solar Plus Initiative, a three-year partnership between Oregon and Washington agencies, utilities, nonprofits, and community groups. Solar Plus Northwest is funded by the U.S. Department of Energy through the Washington State Department of Commerce, with matching funds of $30,000 provided by ODOE. Regional nonprofit Spark Northwest provides project coordination of the Solar Plus Initiative. Find more information about Solar Plus online: www.solarplusnw.org.